The day I’ve worked for, waited for, and dreaded is finally here. All systems-GO. There’s just about nothing I can do about it now; can’t put the genie back into the bottle, and all that crap, and all those sayings. Whatever, whatever. All day yesterday, I was nervous, biting my lip, craving cigarettes, and doughnuts. Wanting to scream. Yet, I was taking power naps all day. At midnight I went to bed thinking, maybe I’ll be cured from all my ailments tomorrow. Maybe life will get easier. Or maybe Sea Org members will show up on my doorstep–not that I’d be worried. If they wanted to wrassle, I do have pepper spray. Then I woke up this morning thinking I’d be feeling liberated, but I just had a headache from all the coffee I drank from the day before. So, I quickly had to make a fresh cup to chase that caffeine-withdraw-craving pain away. I continued to wonder how I felt. I checked Amazon to see that, while my book is on sale for reals, there’s something wrong with the search categories/algorithms, as well as the format availability, so now I’m waiting for Amazon to get back to me. Nice start there. Not worried though, because my interview on THIS IS NOT A TEST is up! It’s mjp’s 100th episode too. Yup. It’s possibly the longest-lasting podcast ever. 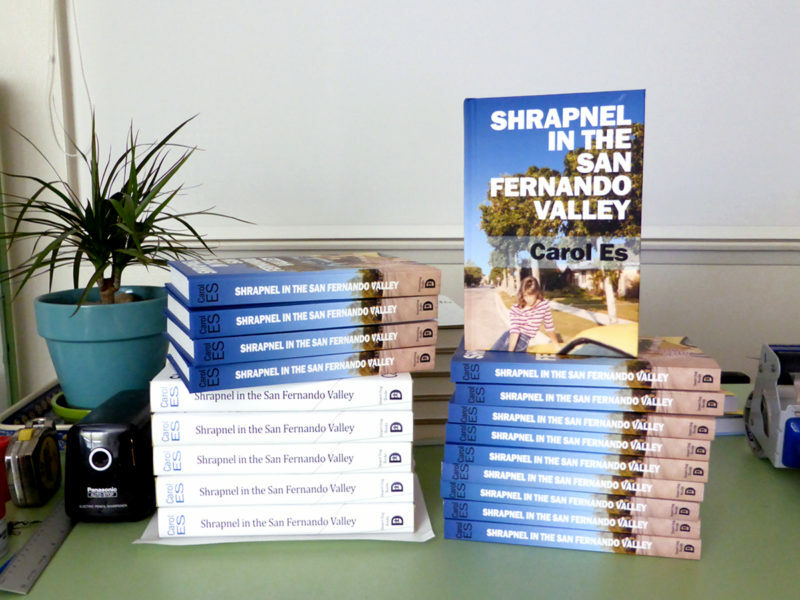 I’d been his guest last summer when I finished writing Shrapnel in the San Fernando Valley, and there’s definitely a distinct difference in my demeanor, that’s for sure. Anyway, listen and check it out. I also decided to extend the pre-sale price ($199) on the special lettered edition of the book to April 12th (the day before the launch party–while they last). So that’s it for now. Wait and see, and I’ll be back with more news before you know it! Love you Carol! You’ve done it! !